A couple of days ago the Copenhagen Police starting handing out free bike lights to cyclists who choose to interpret the traffic laws in their own special way. Cyclists who are stopped for traffic violations will still recieve a citation that will cost them 500 kroner [€66 / $100] but the police have 1000 bike light sets that they will give to the cyclists in question. 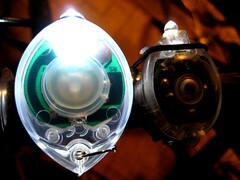 The bike lights are worth 140 kroner [€18 / $28] and the 1000 sets should last well into the new year. 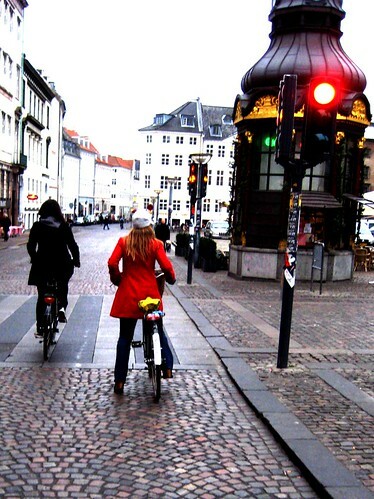 With that said, there is not that much visible enforcement of cyclists in Copenhagen. A couple of times a year the police have week-long 'raids' during which the concentrate their efforts on cyclists. During the last 'raid' in July they handed out 777 citations. Read about the preferred laws that cyclists overlook here, in this previous post. Once in awhile there are calls for increased focus on cyclists and citations. The discussion always ends with, "how do you police so many cyclists effectively and cost efficiently?" It would take enormous resources. At the very least it is publicised when the police will be having a raid week, so cylcists have a chance to behave a bit better and avoid a citation.